McKinney Pediatric Dentistry's Pointers for Back-to-School!! McKinney Pediatric Dentistry celebrates another birthday here in the office! Angie celebrates a big birthday at McKinney Pediatric Dentistry!!! Have a Happy 4th of July!!!!! 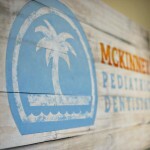 Meet Our Team at McKinney Pediatric Dentistry!!! Come See Us Tomorrow at McKinney's Red, White, and Boom Hometown Parade!! !